I loved Saturday afternoon’s thunder, blue-black storm-clouds, and cold, drenching rain that poured down here and there with much drama. 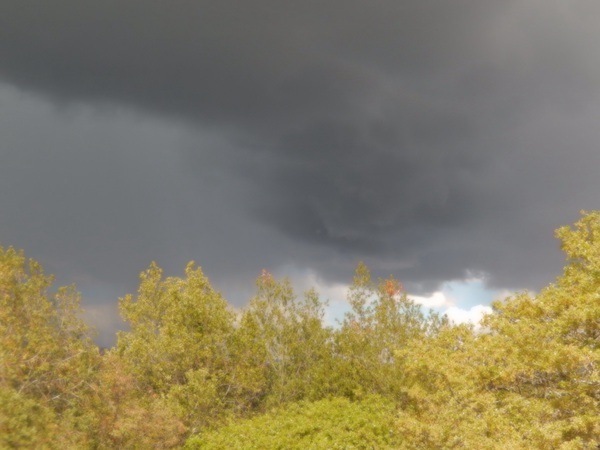 Somehow, west Petaluma seemed to miss the downpour, but the strange turn in the weather reminded me to ask you all to share your California drought/ climate change thoughts with us here at the Literary Update. Whether it’s a photo, a poem, a short essay, a rant, a prayer—let’s keep the drought-inspired work coming! 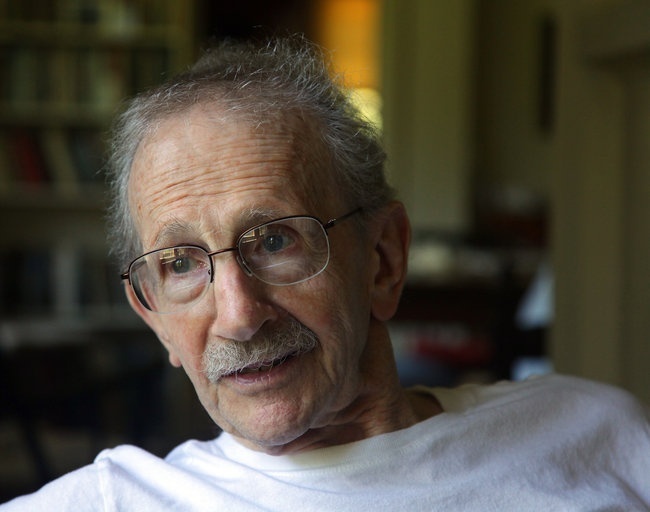 Much beloved American poet Phil Levine passed away on Valentine’s Day, February 14, at age 87. He was among the country’s most decorated poets, winning the Pulitzer Prize, National Book Award, Ruth Lilly Poetry Award, among many others. He taught at Princeton, Columbia, and Cal. State Fresno, and in 2011, he was appointed United But perhaps his greatest legacy is the impact he has had on a generation of writers, and not just those enrolled in university creative writing programs. He took the time to write back to poets who sent him their work, to answer the phone and chat, and though it got him into trouble with his colleagues at time, to welcome the occasional student too broke to pay tuition as an auditor in his classes. There hasn’t been another American man of letters who had a greater gift for expressing “the hard work we do to make sense of our lives,” in the words of Librarian of Congress James Billington. Levine was a native of Detroit; his parents were Russian Jewish immigrants, and this working-class upbringing found its way into his work though his subjects, themes, and plain-spoken. Congratulations to this month’s recently published authors in Sonoma County. See who’s in print at https://socolitupdate.com/sonoma-county-in-print. Thanks to Ed Coletti who keeps this page of the Literary Update current with your notices of work you’ve had accepted for publication in literary journals and magazines. Two local writers were published recently in Petaluma-based, Wordrunner eChapbooks’ themed anthology, Strange Encounters. Our calendar for March and April is brimming with events. Please do take a look at what’s happening in our literary community this month. There are a few I’m including in this post, but this is just a taste to whet your appetite. Today, March 1, from 5-7pm, the Geri DiGiorno and the Redwood Cafe in Cotati will host poets Michael Rothenberg, (100,000 Poets for Change) Terri Carrion, and Patti Trimble. Join them for words on Politics and Other Things, music by bassist Steve Shain, and local beer on tap. 8240 Old Redwood Highway, Cotati. Next Saturday, March 7, at 2:30 PM, The Sitting Room in Cotati presents “Opening to Poetry,” featuring Iris Dunkle, Rebecca Foust and Terry Ehret whose reading will lauch the Spring 2015 exhibit dedicated to the Sitting Room Poetry Collection at 2025 Curtis Drive in Penngrove, just off Petaluma Hill Road. 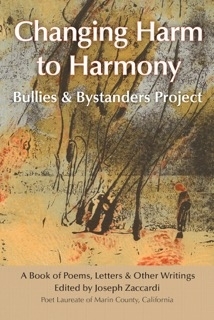 On Sunday, the Ides of March (March 15 for those of you not inclined to soothsaying predictions on Roman dates), the Petaluma Arts Center presents a reading from Changing Harm to Harmony: Bullies and Bystanders Project. This is one of the most important topics any poetry anthology has embraced—one you may want to bring your family to hear. Poet, editor, and Marin County Poet Laureate Joe Zaccardi has assembled a brilliant cast of writers whose work helps us all find a way toward “restorative justice.”Readers include David Beckman, Rose Black Ed Coletti, Lucy Lang Day,Francesca Dezza Parada, Juliet Emerson-Colvin, ‘Lyn Follett, Helen Heal, Jodi Hottel, Janet Jennings, Dave Seter and Patti Trimble. Petaluma poet Donna Emerson, PAC’s Val Richman, and Joe Zaccardi co-host this evening of poetry, stories, and letters from 6-8 PM at the Petaluma Arts Center, 230 Lakeville Street, Petaluma. Click on LISTEN to hear Phil Levine read the poem and talk about how he came to write it. From New Selected Poems (Alfred A Knopf, 1991), © Philip Levine 1991, used by permission of Alfred A Knopf, a division of Random House, Inc.